Anyone would think that the IRFU have always owned the exclusive patent to competent administration. Far from it. Their journey towards a 2018 of unparalleled success, as so triumphantly hailed in Monaco last Sunday night, has not been without its significant rumble strips. Nonetheless, from being an amateur organisation which was dragged kicking and screaming into the professional age just 23 years ago, their astonishing progress since then has clearly demonstrated that they have got most things right. 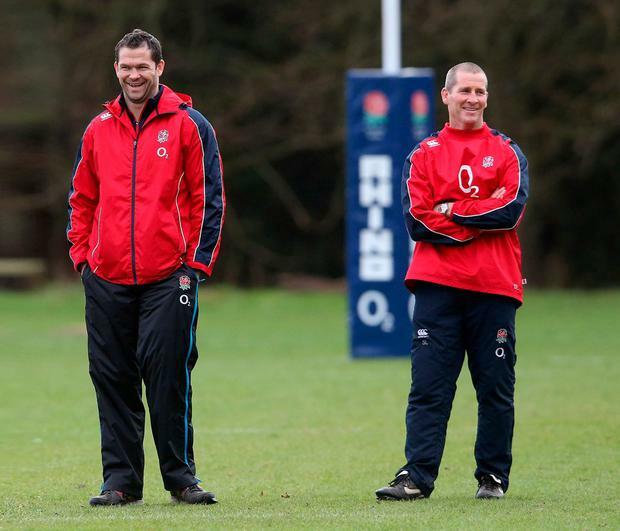 The appointment this week of Andy Farrell seems likely to maintain the momentum, given the structures that support him. The IRFU have exploited the maximum from their competitive advantages - a ready-made Academy system in certain schools and a four-team provincial structure which was primed for the emerging professional club competitions. European exposure served to widen the sport's base, as well as its production lines, but it is also worth remembering that there was a brief period when Irish rugby contemplated pitching clubs, not provinces, into the professional age. There have been other near misses; 20 years before Ireland's second Grand Slam of the professional era, the IRFU blazers were hastily paying off Brian Ashton, a doomed appointment who had been handed a six-year deal. "I'm a professional, he's an amateur," was Ashton's withering parting shot at manager Pat Whelan after a relationship that palpably didn't work. Enter Warren Gatland, a hasty appointment, who soon developed his own awkward relationship with a colleague, assistant Eddie O'Sullivan, who in turn developed a similarly fractious relationship with Declan Kidney. This didn't stop O'Sullivan assuming the top job himself - and making a success of it - nor in turn Kidney, who succeeded him. This was only after the IRFU had signed a four-year extension with O'Sullivan before the 2007 World Cup which ultimately forced them to renege on the deal less than 12 months later. It's easy to forget but Philip Browne, now heralded as a visionary administrator, was widely lampooned at the time - "The World Cup was a blip" and all that. And he also declared at the time that it was their aim to "produce a cadre of Irish coaches and make coaching an acceptable profession." Yet before Kidney, a Grand Slam winner, was appointed in 2008, an Australian was the preferred candidate. Since the departure of the last two Irishmen to coach their country, both men have spent elongated periods not only out of work but out of their own land too. Indeed, in one season this decade (2013-'14), all five Irish teams had overseas coaches in charge; a representation not of poor choice but of a neglected pathway to indigenous coaching development. It is not only Irish players who must leave this land in temporary exile but coaches, too and, while the appointment of Farrell reflects a seemingly seamless transition, it shines a light on the difficulties facing young Irish coaches, many who must be exported to learn their trade. Predominantly, teams have thrived - Ulster being the notable exception, while Munster may mourn a lengthy title drought - but performance director David Nucifora is keen to ensure that the country's coaching resources can keep pace with its world-class production line in players. He has fast-tracked a system of coaching development at home and abroad but the results will not be immediate. Hence, it will be some time, for example, before the dream team of Ronan O'Gara and Paul O'Connell might be reunited donning coaching bibs; and they will most likely begin together at Munster when the time comes. For now, the IRFU are content to appoint someone with no head coaching experience but he has worked in perfect tandem with Schmidt, meaning the transition will be smooth. Farrell's team remains incomplete though and the obvious suggestion has been made that he should be permed with Stuart Lancaster, who was his boss at England. It sounds alluring but devil may lurk in detail; many felt the shambolic 2015 World Cup exit on their watch was caused, in part, by their inability to form a coherent relationship when the pressure points were at their most intense. They did enjoy many highs, papering the cracks after Martin Johnson's ill-fated rein and scoring notable coups against the All Blacks without ever capturing any silverware. A time apart, spent mostly in rehabilitation in this country, might have allowed both men to re-evaluate their strengths and weaknesses, professionally and personally. But, if it does happen, history shows it can often be a bumpy ride.